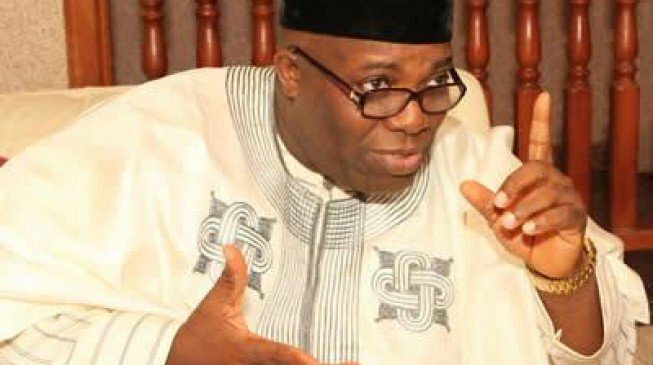 Doyin Okupe, a former aide of ex-Presidents Goodluck Jonathan and Olusegun Obasanjo, says Nigeria will not make progress if former Vice-President Atiku Abubakar succeeds in his presidential ambition. Abubakar, a former chieftain of the All Progressives Congress (APC), defected to the Peoples Democratic Party (PDP) last year. He is one of the presidential aspirants of the opposition party. Okupe said said Abubkar’s presidency would draw Nigeria backwards, and that it will take the country ten years to recover from such. Posting on Twitter, Okupe said while he disagrees with Abubakar becoming Nigeria’s president, it would be a different case with Senate President Bukola Saraki. Saraki had said he is considering running against President Muhammadu Buhari in the next election.